We believe you don’t have to sacrifice style and durability in your design choices. And these tastemakers are out to prove that you can live the way you want in a home that reflects your personal style, worry free from spills, accidents and all of life’s other little surprises. 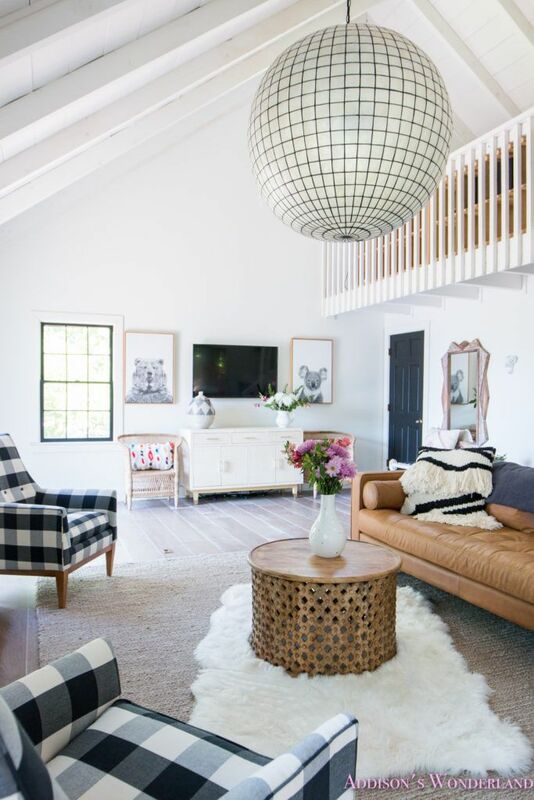 Follow along as the Style Board tackles room makeovers from the floor up. Hardwood flooring is quite possibly the most popular, classic and timeless flooring choice of them all. From dark to light, wide plank to smaller planks and even various levels of distressing, there are so many options of hardwood flooring. Although flooring trends seem to come and go, you never really hear anyone say that a particular color, size or style of hardwood is "so 1970's" or "so outdated". This alone is one fantastic reason to choose hardwood flooring for your next renovation or new build. You just can't go wrong with hardwood, which is never a bad thing! One finish that has hit the market recently with many more options is whitewashed flooring. Although the term is "whitewashed", the true color can vary from a light to mid-range wood with a beautiful ashy finish and a white wash that cuts the orange tones. Once again, with so many colors, styles and sizes, they all seem to have one thing in common... they will never ever go out-of-style! With this wood finish, whether it be a a wide plank or a smaller plank, a mid-range color or a super light one, there are SO many fabulous benefits of selecting this whitewashed finish. First, let's chat maintenance. You know how a black car shows absolutely everything? Well a dark hardwood floor can too! With these lighter finishes, you just might find that you are feeling the need to sweep, vacuum and mop much less often. Although we can't guarantee your hardwoods are actually staying "cleaner", you definitely won't notice the dust and crumbs and spills! Just think... some of the whitewashed hardwood are literally the color of Cheerios. New moms are all thinking SCORE! Next up, room design. When you are struggling to design and decorate a room, the very last thing that you want to think about is whether your beautiful new flooring is going to clash with your new decor. And that is where whitewashed hardwood flooring becomes even more wonderful. The whitewashed finish and ashy undertones are a great neutral base for most any color schemes. The warmth of the hardwood and the cool tones of the finish create the perfect backdrop for most any design scheme. So if you have decided to take the plunge with new whitewashed hardwoods, Shaw Floors is the vendor for you! With the widest array of whitewashed hardwood options along with the best quality and superb customer service, Shaw Floors is your one stop shop for all things whitewashed flooring. From their "darker" and more rustic Shaw Floors’ Landmark Hickory Hardwoods in Grand Central to their sleek and much lighter Empire Oak in Astor, there is something for everyone! Shaw Floors’ Landmark Hickory Hardwoods in Grand Central is one of the darker and more rustic whitewashed hardwood options. The wide planks and distressed finish create a beautiful backdrop for those wanting a "busier" and more rustic feel. The color range varies quite a bit from plank to plank, and the space between each piece is highlighted with a lighter color to create definition for the wider planks. These hardwoods tend to be slightly more on the warmer side which works perfect for leather tones and wood furnishings. Anderson Tuftex’s Muir’s Park in Bridal Veil is a great choice for those wanting a more traditional hardwood look, just toned down a notch or two. The medium sized planks and warmer finish are reminiscent of the flooring seen in older homes but with a gorgeous whitewash that tones down the orange and brings the look into the 21st century. There is a decent variance in color from plank to plank creating depth and texture for your floors. These warm tones are perfect to coordinate with red, pink or orange home decor or great for highlighting cooler blue and green tones in a space. Shaw Floors’ Castlewood Oak in Tapestry is quite possibly the epitome of a true whitewashed hardwood. With the trendier wider planks, a more subtle variation in tones and a very ashy whitewashed finish, this hardwood choice is perfect for those wanting a super neutral, light and airy feel in their new home while still keeping with the warmth of a hardwood. Shaw Floors’ Empire Oak in Astor is about as whitewashed as you are going to get! This hardwood option is for those wanting an ashy, very light and super cool tone in their flooring. This hardwood option is about as light and cool toned as you are going to find in a hardwood floor! There is very little color variation and the medium sized planks offer a very modern, sleek look for your next project. Our Historic Fall Home Tour with Shaw Floors! Addison's Wonderland - Our Historic Fall Home Tour with Shaw Floors! It has been two months since moving into our new home and redecorating is finally in progress! Today I’m excited to share some progress photos with you; however, before we dive in I feel the need to add a disclaimer. Warning: The pictures you are about to see here are not perfectly-styled makeover photos, but rather depict the flooring installation experience. It has been two months since moving into our new home and redecorating is finally in progress! Today I’m excited to share some progress photos with you; however, before we dive in I feel the need to add a disclaimer. Warning: The pictures you are about to see here are not perfectly-styled makeover photos, but rather depict the flooring installation experience. In other words, many of these photos were snapped quickly with my iPhone during installation and most of the rooms in my home are still a mess and in need of a makeover! I am so used to waiting until the very end of the design process to show you beautifully-staged room makeovers that sometimes I forget to share the incredibly important and meaningful “in betweens”. If you’re considering new flooring for your own home, I hope you find this post helpful on what to expect. This post is created in partnership with Shaw Floors. This year, I am honored to be part of the Shaw Floors Style Board along with several other bloggers. All words and opinions are my own. 1. Visit the Showroom and Choose Your Flooring. One of the first changes I wanted to make in our new home was to replace all of the bedroom carpeting with engineered hardwoods. While I love the look of plush carpet, and recently installed some gorgeous Shaw Floors carpet in our previous home, I knew that hardwoods would be a better fit for our needs in this home. If you are trying to decide which type of flooring to install, I encourage you to read my post: How to Choose Flooring: 5 Vital Questions to Ask. I revisited this post myself before settling on our new floors! After some deliberation, I chose the Epic Plus Wildwood engineered hardwoods in the color River Bank for all of our bedrooms. It’s a hickory wood that blends well with our existing elm hardwoods. You can click here to see the exact flooring I chose on Shaw’s website. I also chose Floorte luxury vinyl Largo Plank in the color Taburno for our outbuilding. This flooring is waterproof making it the perfect choice for a basement, outbuilding, or mudroom. I absolutely love its realistic barnwood texture! 2. A Flooring Representative Visits Your Home to Measure and Discuss Any Potential Subfloor Issues. After I selected our flooring, our installer came to our home to measure the rooms and determine any subflooring issues. We were informed at this time that the outbuilding subfloors needed to be replaced. This is a great time to ask questions regarding the installation process and to determine a timetable for installation. You should also inquire what furniture and items need to be moved out of the rooms prior to installation. Typically, you will be responsible for clearing everything out of the rooms before the installers arrive unless you arrange for items to be moved as part of the installation. 3. Wood is Delivered to Your Home to Acclimate for Several Days Before Installation. Your flooring needs to acclimate to your home’s temperature and humidity levels before it is installed. Several days prior to installation, it will be delivered and allowed to rest in an unused room while it acclimates. This step is paramount to insuring a successful installation. If flooring is installed without first acclimating, it risks cupping, shrinking, expanding, or buckling. It was admittedly hard for me to be patient during this step because I was so excited to begin our install! 4. Installation Begins and Things Get Messy and Noisy! Installation May Take a Few Days Depending on the Amount of Square Footage Being Installed. If you have animals and kids, it’s best to contain them to a part of the house where renovations aren’t taking place, or better yet have them visit a friend or relative for the day! Your wood floors will be cut with a chop saw and as a result there will be noise and sawdust. Typically, your installer will cut your boards outside and will do their best to contain the sawdust; however, home renovations are messy affairs so be prepared for some mess and some noise. You can help your installers by choosing a place outdoors that is sheltered from weather but near the jobsite for them to work. I chose our front yard as the best spot for the chop saw. 5. Mentally Prepare for a Glitch. If there is one thing that all of my many years of do-it-yourself projects and home renovations have taught me, it is that there will always be a glitch. Sometimes it’s just a minor, barely-there, whisper of a glitch, and other times it’s a ginormous, doozie, beast of a glitch. Learn to expect it, embrace it, and creatively problem solve your way through it! Your experience with home renovations will go so much more smoothly when you mentally prepare for the glitch. Our glitch this time was an unexpected subflooring issue. Our house is built on a slab and our master bedroom is on the main level. The subflooring dips in the middle along the seam of the subfloors causing hollow spots underneath the floorboards. Air pockets beneath the boards can cause movement of the floors and compromise installation. To solve this glitch, our installer recommended injecting DriTac Wood Repair Adhesive into the floor to fill up the air pockets with glue. This required extra dry time and a few more days before we could safely move our furniture back into place but it was worth it! 6. Pad Your Funiture Feet Before Moving Back Into Place. Protect your investment by placing felt or rubber pads on the bottom of any furniture that will be placed on your new floors. This will help minimize scratching or dents to your new flooring. I placed some dusting cloths underneath a few areas of our bed frame that were too large for felt pads. I am anxious to begin redecorating these rooms now that the flooring is installed! Here are a few progress photos for you! And of course I can’t leave you hanging without one beautifully-staged room makeover! I revealed our master bedroom makeover on the blog last week and you can see more of it here. I am in love with how it turned out, and the new flooring is just perfect for the space! Sneak peek of the gorgeous carpet runner from @shawfloors just installed today! I love it, happy that the small swatch we picked looks fabulous. We both love herringbone patterns. That's the last of crews coming in & now we can get down to moving soon, can't wait! It's been nice to take our time & getting things done before furniture is in.